43rd Annual North American Vasa: Thank You, Volunteers! Much has already been said about the glorious weekend that was. Over two days, multiple races, and countless kilometers of skiing and biking, the 43rd Annual North American Vasa is in the books. The Vasa is a tremendous undertaking, and while it always seems to go off so seamlessly, it take a lot of work to make all the pieces fit together. There are myriad races and disciplines within each race, putting a lot of pressure on timers, aid stations, course marshals, and our ski patrol volunteers to ensure that everyone is taken care of. There’s a remarkable tight time table to make sure those volunteers aren’t exposed to the elements for too long, and there are dozens of categories’ worth of awards, sponsors to thank, and plenty of Short’s beer to drink back in the Celebration Zone. We just wanted to thank the race organizers, our own John Roe very much among them, for all of their hard work in fitting all of these pieces together and giving our community another Vasa to cherish. Events like this serve as a way to reconnect and reconvene our winter sports community and includes skiers and fat bikers like nothing else on the calendar. And it’s important to point out that fat bikers are skiers, and vice versa; two of the podium finishers from last year’s fat bike race were on ski podiums this year, including Jorden Wakeley! Some athletes even opted to both ski and fat bike, like Keith Conway and Joe Leppeck. One crazy person, Dan Novak skied, rode, and woke up Sunday to ski again for the ultimate Nordic experience. Of course, no matter how much the Vasa organizers take on, there’s no way they could do it all without scores of volunteers. This year, Kelley Peterson did an exceptional job of corralling the efforts of volunteers like our own Tom White and Steve Mentzer, plus dozens of others who spent not just Saturday helping, but much of the day Thursday, Friday, and Sunday to pull everything together. 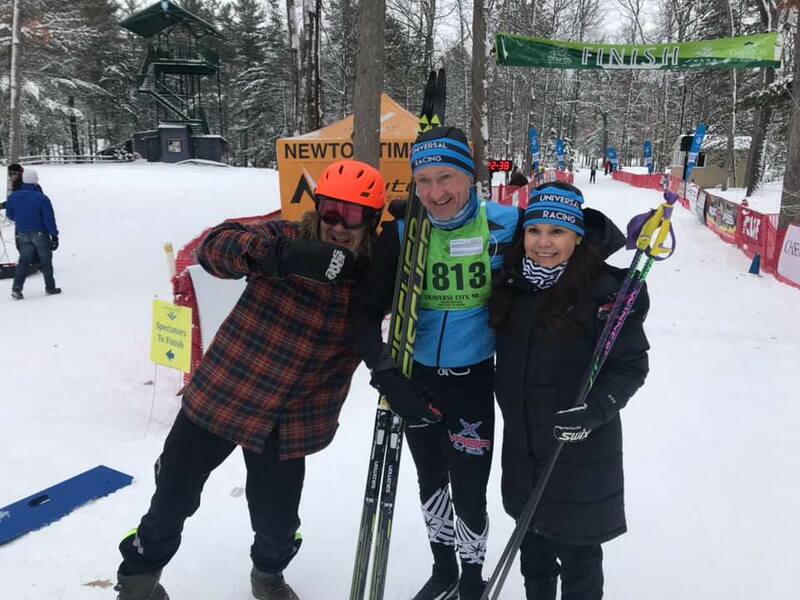 The event saw participation by our wider winter sports community, including riders who might usually call trails like Glacial Hills or Cadillac Pathway home. The Vasa also drew riders from as far away as Detroit, Grand Rapids, Holland, and Marquette, showing off our incredible trails, expert grooming, and charming hometown. We really see these winter events as a showcase of how vibrant, connected, active, and enthusiastic northern Michigan is year-round, not just during tourist season. So from everyone at NMMBA, thank you, volunteers, to manning aid stations and registration, course marshals and podium ceremonies. You’re the ones who make all of our events possible, and the ones who make them so much fun, too! Full results from the North American Vasa are available here.